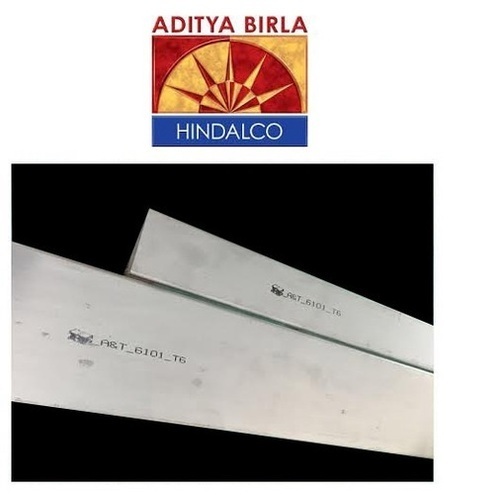 We provide the best quality of Aluminium Bus Bar Hindalco Make to clients at budget friendly market prices. These bars are highly sturdy. Established in the year 1995 at Delhi, we, Bharat Metals, are a highly acclaimed Wholesaler, Distributor and Trader of highly qualitative Aluminium Products and Copper Products. The products offered by us are manufactured as per industrial guidelines of quality at our vendor’s end. Premium quality raw materials such as Copper and Aluminium are used for the manufacture of these items. These are available to clients in the form of sheets and bars at highly affordable prices and are acclaimed for their unbeatable quality, corrosion resistance, sturdy designs and longer lifespan. Strict quality checks are conducted to ensure that clients get the best products from us at negligible market prices. Our products are widely used for various industrial applications because of their impact resistant and enduring designs.